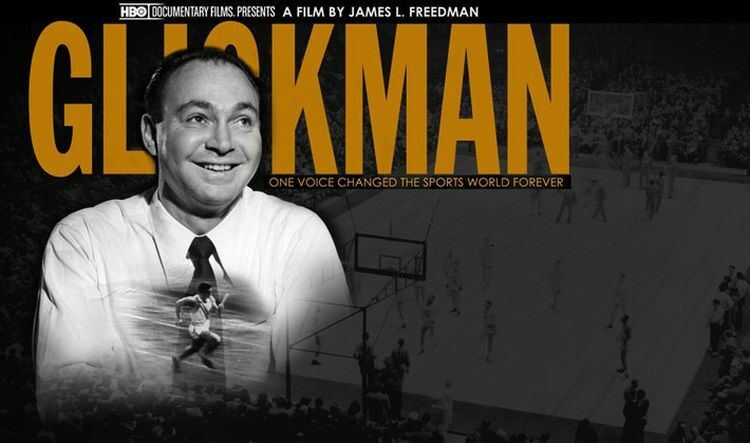 Described as the first jock turned broadcaster in history, Marty Glickman began what would become an exceptional sports career while attending high school in Brooklyn. The HBO documentary Glickman (2013), now out from Warner Archive, traces Marty’s path from his difficult childhood to becoming a New York City phenomenon known as the “Flatbush Flash,” for his phenomenal performance in track and field, setting speed records and winning state and national sprinting events. 17-year-old Marty Glickman in 1935. Marty’s successes in sports were important not just to him and his family, but to the entire community, especially other Jewish kids in New York City. Actor/comedian Jerry Stiller speaks of how Glickman became almost a superhero, a claim borne out by the host of newspaper articles and stories written to capitalize on his popularity. 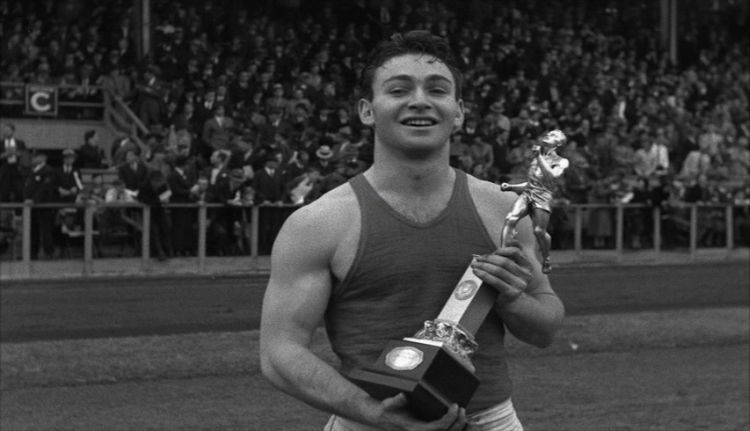 With his amazing ability, it was no surprise Glickman made it to the 1936 Summer Olympics, on the same team as Jesse Owens, Ralph Metcalfe and Sam Stoller, among others. But tensions were high at the Berlin Olympics that year, and the United States almost didn’t attend following protests from a variety of groups concerned that the event would give Adolph Hitler international legitimacy. Apparently most concerned that Jews were not allowed on the German Olympic teams, the U.S. was pacified when a token Jewish athlete was added; once the U.S. agreed to participate, the Jewish athlete was removed from Germany’s roster before the games officially began. During the games, Jesse Owens won three gold medals. Hitler was obviously incensed, and members of the U.S. Olympic coaching team decided to not allow either of their Jewish athletes, Glickman and Stoller, to run the relay. They were replaced with Owens and Metcalfe, which some U.S. coaches felt would be less likely to upset Hitler, as they were already medal winners. Marty went home without having competed. Glickman is a fascinating look at a fascinating man. If what you’ve read so far sounds intriguing, you will want to see the entire doc; the life Marty Glickman lead is almost unbelievable, in both scope and legacy, and it’s inconceivable that he is not more widely known. The interviews in this doc are all terrific, the commentary on Glickman’s craft compelling, and the sheer amount of archival material is impressive. It’s a real delight from a historical perspective, even if you’re not a sports fan on any level — and for a little extra fun, be sure to keep an eye on the single, solitary interviewee who tries to deny that Glickman was ever the victim of antisemitism, and note which channel he’s from. The Warner Archive release is a MOD DVD, which includes several bonus features such as an introduction by the director, extra interviews and broadcast tracks of Marty Glickman at work. Beautifully done. I just watched Glickman and adored it. You’re right…it’s amazing he’s not better known. Thanks Terry! 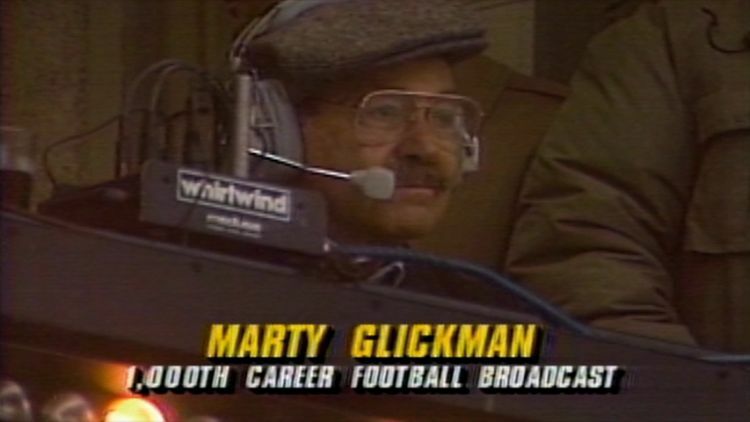 I knew of Marty Glickman only because I saw him in clips on local sportscasts from various HBO events, and I was also a New York Jets fan briefly in high school. This documentary shocked me, because I couldn’t believe someone so much a part of Olympic and sports history was almost forgotten, except by people in the biz.